This is a story of a childhood friend. But the story isn’t really about the friend, or about me, or even about friendship in general. When all is said and done, this is a story about my mother. 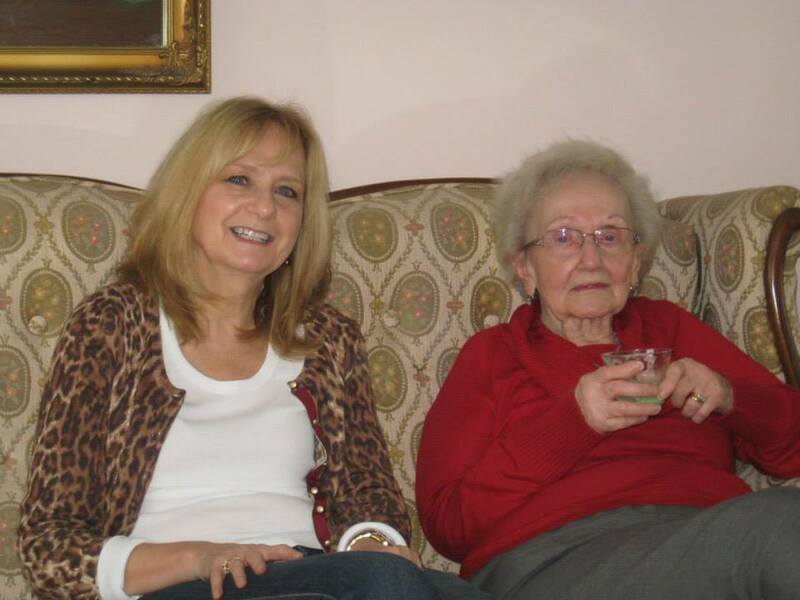 Today is her 91st birthday, and this story is about the kind of mother and person she is. I met Daisy when I was twelve. Daisy is not her real name, because I don’t know what happened to her, but my guess is she is a very interesting person today, and I would never want to embarrass her with my probably distorted reminiscences. Diane, my neighbor-across-the-backyard fence, introduced me to Daisy. Diane was a year younger than I, and Daisy was a year older, but they were both in the same grade. This was not because Diane skipped some grades. They went to public school, which, in my mind, meant they were getting a lesser education from the get-go. This conceit was a direct product of the Catholic school I attended, since the nuns told us so at least twice a week. So Daisy, repeating grades in an inferior learning institution, was at first the object of my disdain. But she grew on me. As a matter of fact, she mesmerized me. She was as skinny as a rail, with little breast-buds that she enhanced by sticking a sock in each bra cup. I was equally as skinny, and equally as flat-chested, but had not even dreamed of using my socks in such an imaginative way. She teased her hair (at thirteen!) And sometimes wore eyeliner – those times being when her mother wasn’t around. Which was often. Daisy chased after boys relentlessly. And she swore. And she smacked her little brother once in while. I had never done any of those things, but I was considering it. She came from the wrong side of the tracks. Literally. You went over the railroad tracks and then down an alley behind the Post Office, and there was a cluster of very ramshackle tenements. Before I met Daisy I had not even noticed that alley. We were hardly rich ourselves, but this was Connecticut, and I suddenly felt like I had stepped into a John Steinbeck novel. From the broken steps to the dishes in the sink to the always burnt-out lightbulbs, Daisy’s apartment was a wreck. There were too many kids and not enough rooms. And not enough bureaus, apparently. I had never seen so many clothes on the floor. There was a lot of screaming going on at Daisy’s house, so mostly we hung out at my house or Diane’s. We sat in Diane’s garage, where there always seemed to be a new litter of kittens. And we walked a lot. We walked miles and miles, just wandering the town, looking for boys or talking about boys. Daisy bragged about kissing lots of boys, but I never saw her do so. Mostly she just hollered rude things at her older brothers and their friends.She also claimed that she shoplifted regularly, but I saw no evidence of it. I did however, see one item that she stole. In the midst of her bedroom mess, I found Daisy’s fifth grade music book. “Didn’t you have to return that book at the end of the year?” I asked. I was friends with Daisy for about six months. Then one night – I think it was November – she came banging on my door to tell me her father had killed himself. I thought at first that it was just Daisy’s brand of drama. But it was true. It was front-page news the following morning. I had never seen her father sober, and I had avoided him as much as possible. But I also knew that Daisy loved her Daddy. Suicide. A mortal sin, per the nuns at my school. I had read a few stories, seen a few movies. There was always a note: “Please forgive me.” Not with Daisy’s father. He left a note blaming everybody. Daisy and her family moved away sometime after that. But I remember a late summer day earlier that year when I was reading in a shady corner at the bottom of our porch stairs. I was practically invisible in the late afternoon. And I overheard my mother and my aunt discussing Daisy. I strained to hear my mother’s response. Mom & Me. Happy Birthday, Mom. You’ve been a good influence on me. Happy Birthday Mom. She still is the best influence on all of us ( along with Dad, who never said a bad word about anyone). I also had a friend who was considered a little wild and irresponsible. Mom said she was fine with me spending time with her, but just remember that I could just say no if my friend suggested doing something I wasn’t comfortable with. Mom trusted me to know what I should and shouldn’t do, and I hope I didn’t disappoint her. Mom and Dad never disappointed us – and I don’t think we ever disappointed them. That’s what a good family is. This one brought some happy sadness to my eyes. You are so lucky to have her. Yes, I’m very lucky. She has always been and still is amazing. I remember overhearing that conversation and being awed that she had that much confidence in me. Hope Daisy found peace and happiness! I hope so too. I think there was something deeper than the socks in her bra – “The Minstrel Boy” lyrics … something called to her. I love your mother. Happy birthday to her! Awwww. Happy birthday to your very wise mother. My mom will be 91 this coming March, my father 92 this coming February. Aren’t we lucky? We are lucky with every day we have with them. I lost my Dad three years ago, but I was lucky to have him too. What a great Mom!! Happy Birthday to her, and thank you for sharing her with us! She is awesome, and you can imagine how proud I was the day I overheard that conversation and realized that she had that much confidence in me. Oh I got chills reading this story. What a wonderful mom. Everything I am – everything – I owe to her. Nancy, I’ve loved your husband (known to me only through your writing) for a long time. Now I love your mother, too. I hope Daisy really does live an interesting life now, and a happy one. Thanks. I am very lucky indeed in my family. And I also hope that Daisy has a sweet and interesting life. There was a lot going on in there. Thanks. I think of Daisy every so often and wonder what her life is like, and I hope it is a good one. But I never think of her without thinking about my Mom and that overheard conversation. I was awed that she had that much confidence in me. Happy Birthday to your Mom. Mom’s are more precious the longer we have them. Mine is 92, and I love her dearly. As for friends growing up, I can only remember overhearing a comment about me by a friend’s grandmother to her mother. It was a compliment to me, but a wish that my friend was more like me. Sadly, the friendship died because of it. You couldn’t control what was said about you, or the probable fact that you really were a better person than your former friend. Brilliant birthday to your mom and lovely tribute. I’ve had more than a few friends from the ‘wrong side’ of the tracks.. Whether I was a good influence? Who knows! But I know knowing them, their circumstances and experiences enriched my understanding and insight. Most I’ve lost touch but a few lost their way, some did not make it and a remarkable few lived to build a better life! We do have fuller lives by knowing people unlike ourselves. Unlike most of your readers, I know you and your family personally. Before I met all of you, I had no good idea what a real family was like and how they behaved. Now, and since then, I am grateful to all of you, but especially to your mom and dad. I can’t tell you what it meant to me to know that she had that much faith in me. The world could use a few more Moms with this kind of thinking. There are so many Daisy’s that would benefit from her wisdom:) Wishing her the happiest of days today & always! Thank you. My mom was and is a wise and precious person. What a great story and your Mom has to be the most wonderful person. There is so much wisdom in those few words. I am so glad I overheard that conversation more than fifty years ago. To know that she had such confidence in me to be a good person inspired me to be one. Happy birthday to your wonderful and wise mother! What a wonderful post! Almost teared up for a second. Happy Birthday to mom, and now i’m kinda wondering what happened to Daisy. Oh, my….what a wonderful compliment from your mother to you! And especially so, since she had no idea you heard it. And I’m tearing it, just reading it. How sad a childhood Daisy had; makes those of us with happy ones realize just how fortunate we are. Love the picture of you and your mother. I hope she has a wonderful birthday! I loved this one, Happy Belated Birthday! This story reminds me how fortunate we were to grow up the way we did. Sometimes it was like having 2 mothers instead of one. I wish I had half your talent at writing, so I could do the relate how wonderful my mom was, they way you do with Aunt Steffie. Tell your mom I wish her a happy belated birthday… I have it written down, but totally forgot (bad, bad me). What a lovely, sad and hopeful story. Your mom sounds like a peach – happy birthday to her! I think we all have known someone like that — a passing fancy, yet someone that, to this day, we remember getting slapped around or made fun of. Or just totally misunderstood. Thank you for a great story, and a great reminder to pay attention to what’s often right under our nose. Oh — and happy birthday Mom! My father was an alcoholic like I am, for all the bad times, without seeing his pain, not sure I would have made the choice to follow a new road when I saw myself as him. Good and Bad are in us all, I believe your mom saw and understood, both of you girls could learn from each other.